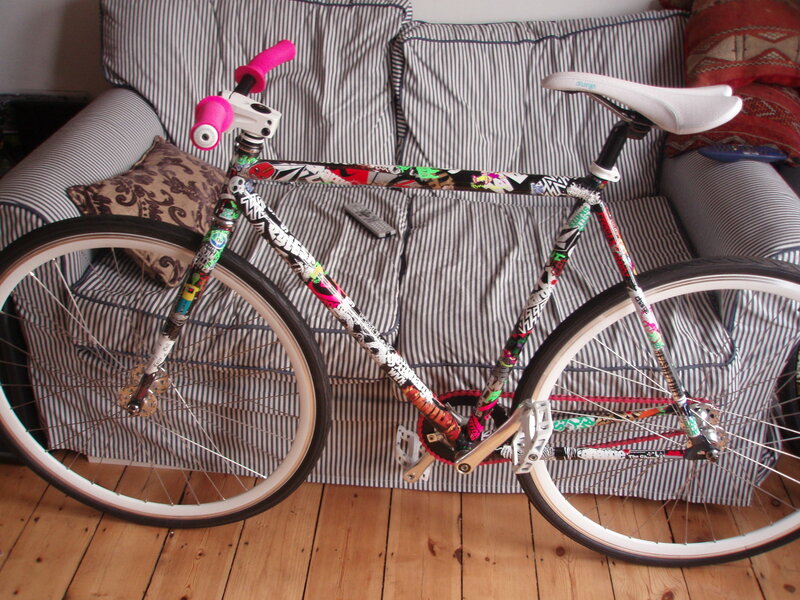 This is the bike that the lovely people at Charge sent to me for cruising the mean and dirty streets of London. It’s a standard Plug frame and fork in small with a few custom modifications. New Charge wheels, white Spoon saddle, We The People stem, bar ends, and pedals. ODI grips and KMC chain. I need to get the pedals drilled as I’m gonna fit straps to these ones. 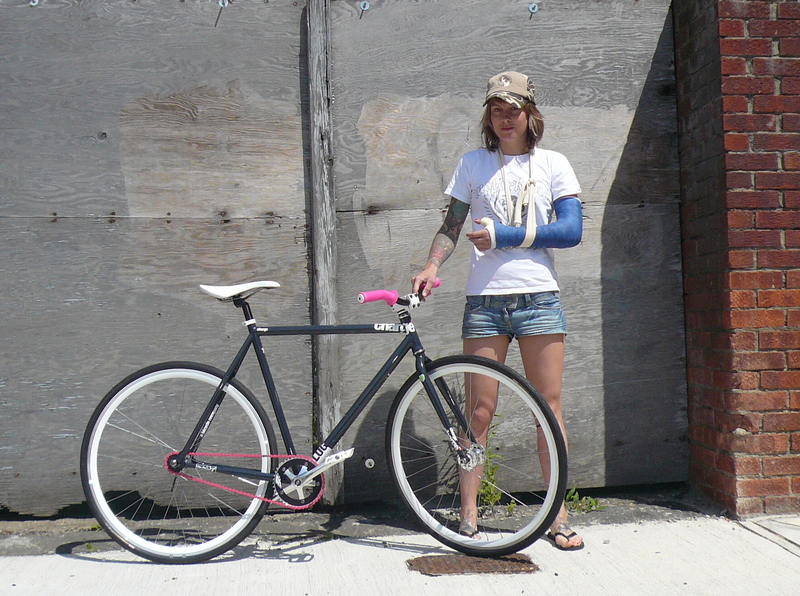 Well, actually Ted at Fixed Gear London has promised to do it for me. It looks so nice and I have no idea when my bones will have healed enough to allow me to ride it. hi! is there any way i can get a charge plug online? i’m from spain and i can’t find it over here. also, what’s the size of the frame you use? hi, i’m sorry, i don’t know if you can get one in spain. You could probably order from a uk site but it would cost a fortune to ship. I’m riding a small.